I was walking along the Capital Crescent Trail, which runs along what was once the Georgetown Branch of the B & O railroad. 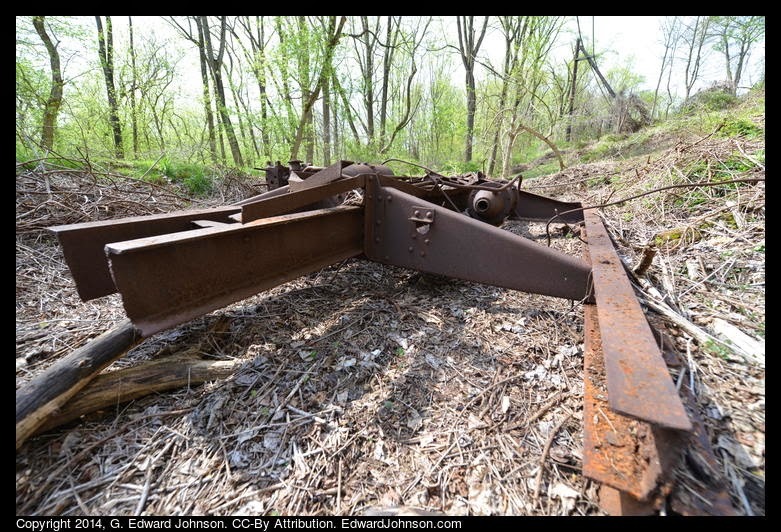 There are very few remaining relics of the railroad, mostly just a partially visible rail here and there. However, I did run across this very large, and very puzzling metal thing. I can't really find the words to adequately describe it, so I can't really search the web to find out what it is. 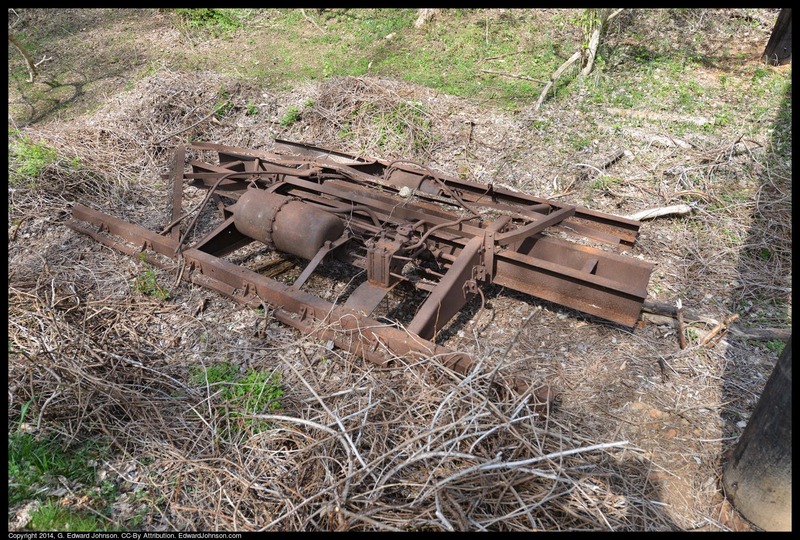 It is about as wide as the rails of the railroad track, has what looks like a pressurized vessel with various pipes going here and there. If you want to see it for yourself, it is just a bit north of the Dalecarlia tunnel. I'd like to know what it is, so if you have ideas, leave a comment. 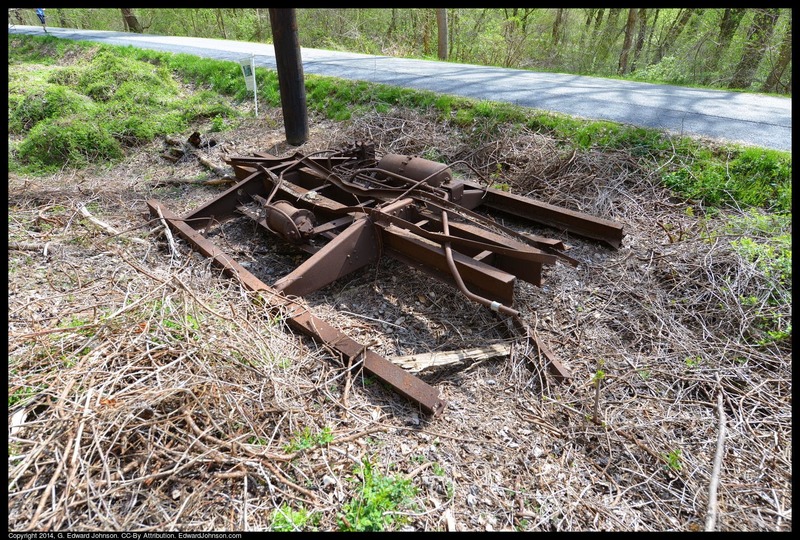 UPDATE 5/2: I heard from Ben Sullivan who runs a website about the Georgtown Branch railroad line. He said in part "It is indeed the frame of a railroad car and the piping and tanks you described on your blog are components of the brake rigging on the car." And gave a bit about a possible reason: "My best bet so far is that it's part of a derailment wreck and the useful parts of the cars (ie. the wheels, trucks, coupler boxes and bolsters where the trucks were mounted) were all cut off with a torch and taken back to the shop. The rest of the scrap was left to rot. As far as a time/date/reason as to why they were there will be much more difficult. I'm still working on this problem but I doubt I will find specifics." 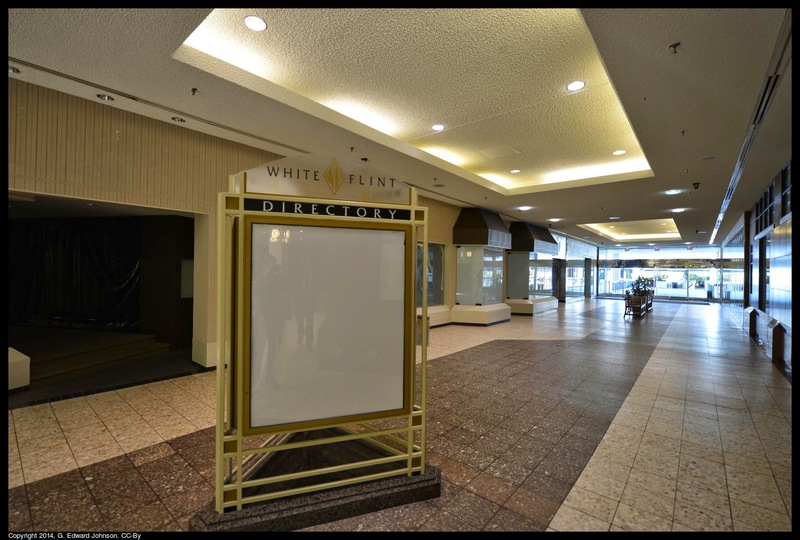 Last weekend I went to White Flint Mall to see what was left. 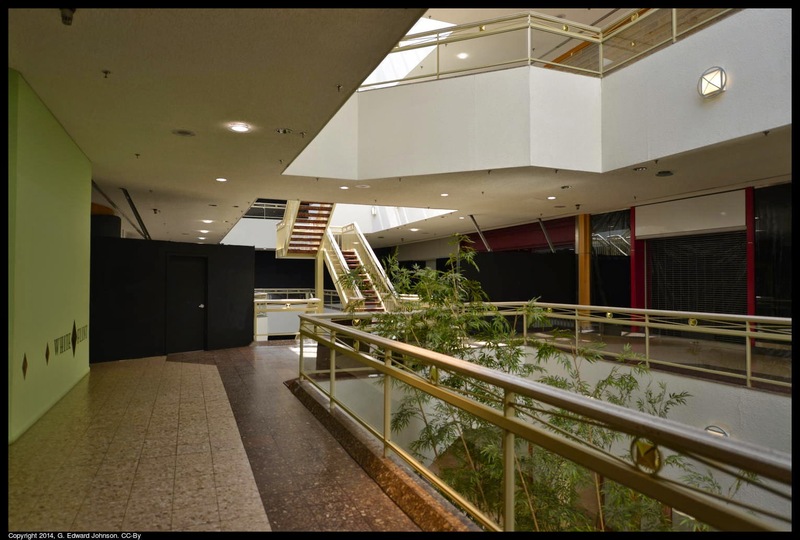 The Boomingdales part was torn down last year and the rest of the mall has rapidly emptied out. 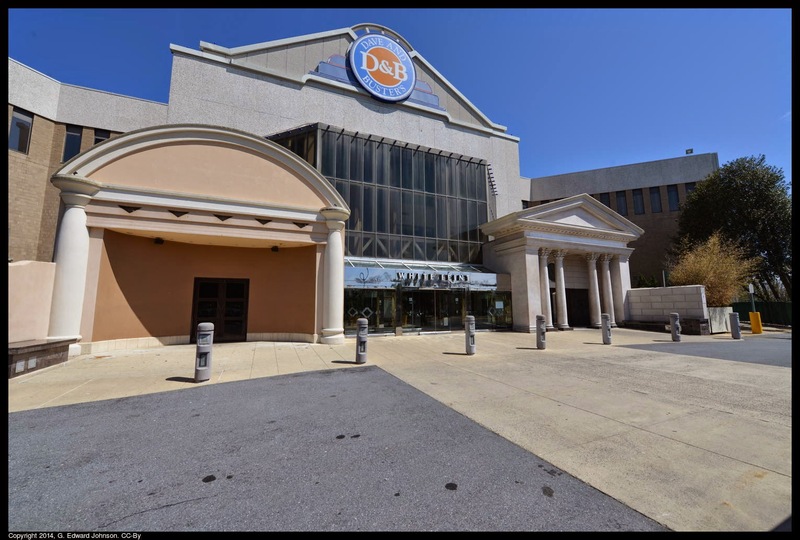 The only stores I saw were the post office (which closed last Friday), a jewellery store, the Dave & Busters (which lost a court fight to stay), PF Changs, and Lord & Taylors. The rest of the Mall's three levels are empty. The main entrance. 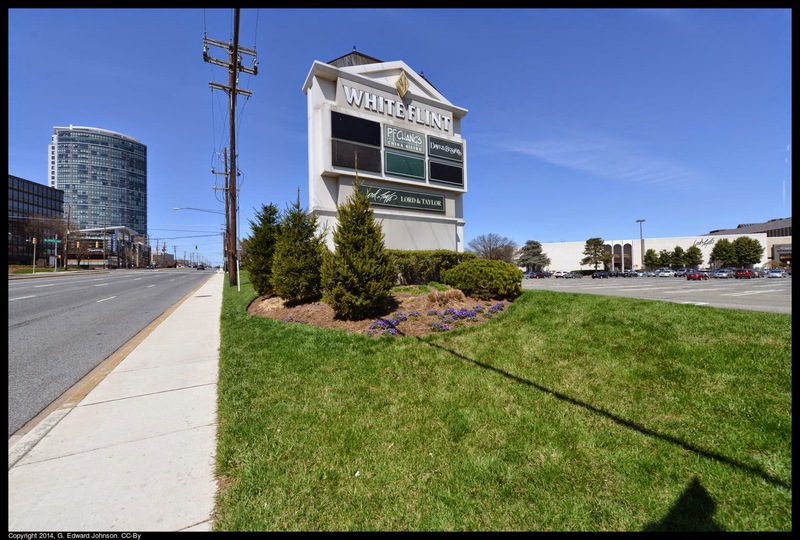 The Cheesecake factory used to be on the right, but now it is at Montgomery Mall. 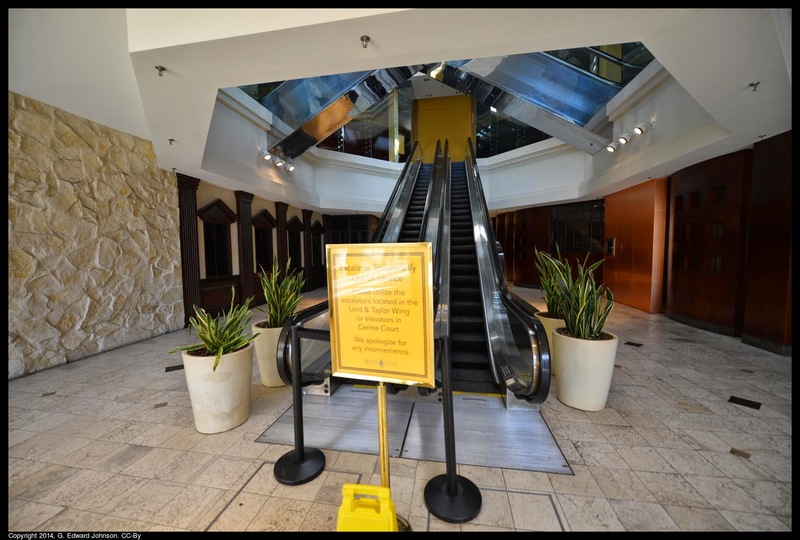 The forever "Temporarily out of service" escalator going up to where the Borders bookstore was a few years agoi. The Bloomingdales end of the mall has been blocked off with black plywood. 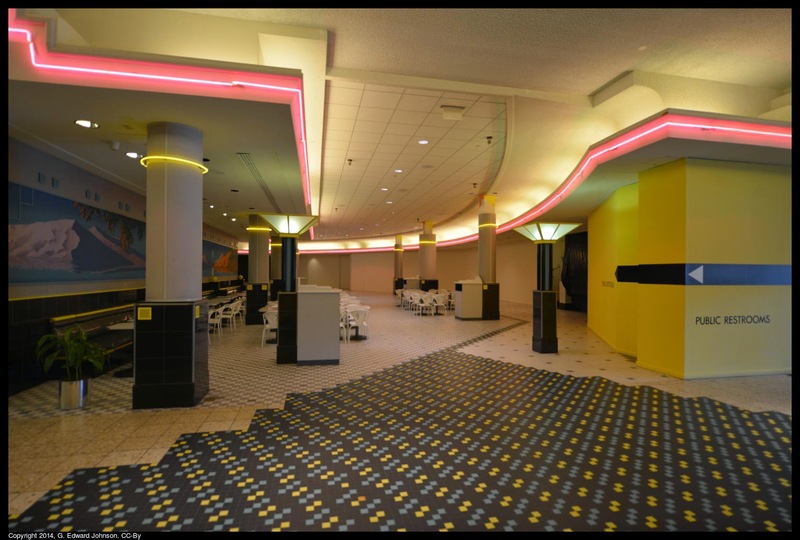 The food court doesn't have any restaurants in it anymore but there are tables and chairs left if you want to bring your own lunch. 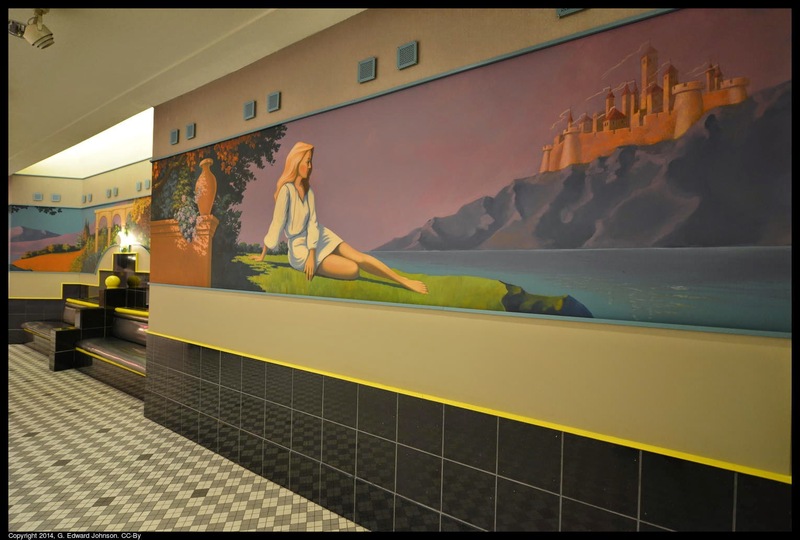 One of the painting in the food court. The mall directory is blank now, which is an odd sight to see.